In the age of pseudo SUVs, the real definition of the vehicle is getting lost. SUVs are known for their mean and menacing nature and there are a very few true blue SUVs that have a brute, intimidating presence. Let’s take a look at ten of them. Force Motors recently launched the facelifted version of the Gurkha in India. The Gurkha is a capable off-roader that comes with Mercedes G-Wagen inspired looks. Gurkha is also the only affordable car that comes with a stock snorkel. The aggressive stance of the vehicle with four headlamps makes the Gurkha look intimidating on the road. The Gurkha has a massive road presence, mainly due to its tall stance, and this guarantees a second look. The Isuzu D-Max V-Cross is becoming the favourite ride of the big-bad-car lovers in India. The D-Max V-Cross has a massive presence due to its height. With the flatbed, the V-Cross measures 5.3 metres in length, which is huge for a vehicle. The V-Cross is undoubtedly the best-selling pick-up truck in India. Almost all the V-Cross owners also modify the vehicle to lift it up, making it a monstrous vehicle on the roads. 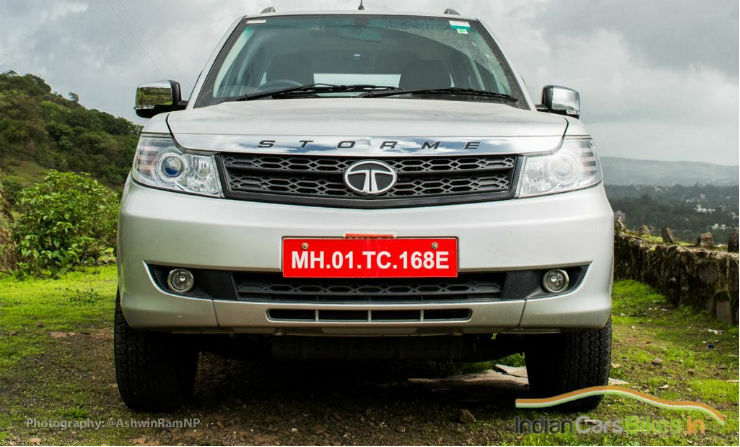 The TUV 300 is the only sub 4-metre vehicle in the list. It is also the first vehicle by Mahindra in the sub 4-metre segment. 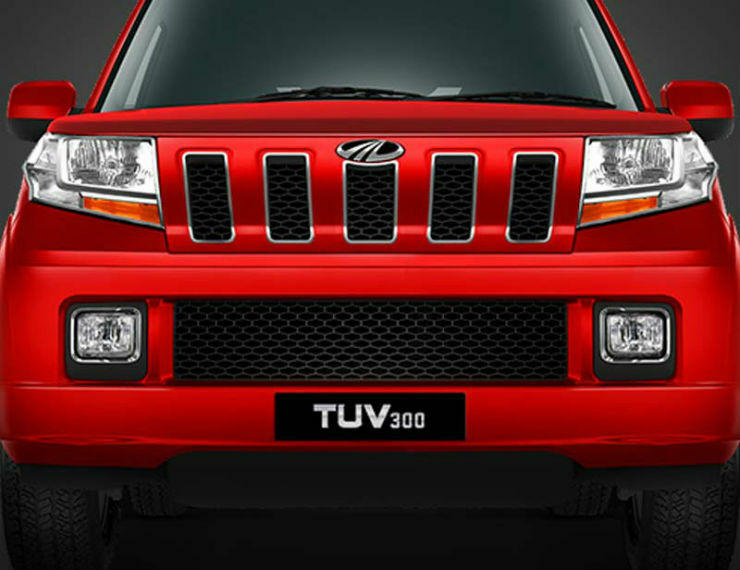 The TUV 300 looks truly rough and tough with straight line body design. Mahindra itself says that the car’s design is inspired from battle tanks. There straight forward design squarish design of the vehicle makes it stand out. Mahindra has also mounted the spare wheel on the boot lid. Even though there is no 4WD on the offer with the TUV, Mahindra has made sure that car does not look like a soft roader. A TUV in the rear view mirror truly looks like a menace. The mighty Tata Safari Storme has become the latest choice of the Indian army by replacing the Maruti Gypsy. The Safari has been around for a long time now but it does not look very macho on the road. The Safari Storme, on the other hand, looks scary in front of other vehicles. The top-end version Safari Storme gets powered by a 400 Nm diesel engine. It was once the favourite SUVs of the Indian politicians and it still looks quite intimidating on the road. The Mahindra Thar is the favourite vehicle for people who want to look unique. There’s no other car in the Indian market that looks like the Thar. The vertical grille with round headlamps gives it a Jeep-inspired look. The Thar looks solidly built with minor use of plastic on the body. A Thar in your rearview mirror honking at you can increase your heartbeat for a moment.